The morning routine of most residents in Beijing involves consulting mobile applications – not to check the weather, but to gauge the daily Air Quality Index (AQI), which informs their decision in donning respiratory masks or even forbidding their children from leaving the house. Average AQI readings during recent winters in Beijing have reached up to 144. In comparison, Montreal’s AQI reading in early January 2018 was 9. While this morning routine has become standard practice across China, recent evidence highlights a promising trend – a slow but steady decrease in harmful emissions as a result of environmental policies initiated in 2013. 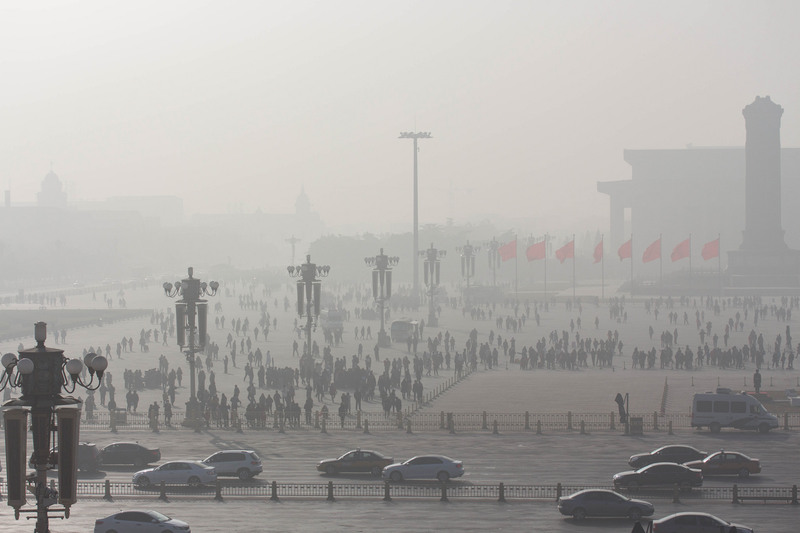 The beginning of 2013 marked the apex of China’s environmental problem. The government began publishing official AQI readings, making pollution a measurable, and thus effectively irrefutable phenomenon. In mid-January, smog choked the major cities of Beijing and Tianjin, as AQI readings soared literally off the charts. Beijing’s “Airpocalypse” reached extremes that scales were unable to measure, resulting in school closures and flight cancellations. It was reported that the air in the city was worse than that of an airport smoking lounge. By September of 2013, the government unveiled comprehensive and combative measures to curtail environmental concerns. These policies included limiting coal consumption by forbidding the construction of new coal-powered plants and replacing coal with electricity generated from alternative sources. Concrete goals were also set for major manufacturing cities such as Beijing, Shanghai and Guangzhou to limit the yearly average of PM 2.5 – a fine particulate matter that is particularly dangerous due to its minute and thus easily-inhaled size. Furthermore, the state’s commitment to the environment was seen on clear display through the detainment of 1140 Chinese officials from eight regions, accused of contributing to environmental degradation. These five-year policies – largely fulfilled by the end of 2017 – demonstrate a step in the right direction. Despite their objective success, they continue to be criticized for not going far enough. China’s PM 2.5 targets of 60 mcg per cubic meter are still much higher than the 10 mcg limit recommended by the World Health Organization. More importantly, the rush to achieve the goals set in 2013 has led to perverse effects in both short-term implementation and long-term impact. The hurried urgency in enacting environmental regulations in 2013 led to policies created in the absence of complete understanding surrounding the origins of the smog – as acknowledged by Premier Li Keqiang in 2017. While later research showed that the prevalence of pollutants such as nitrogen fertilizers were major contributors to the smog, the framework created in 2013 focused entirely on limiting coal burning and car emissions. Moreover, the desire for officials to avoid punishment and instead elevate their status as environmentally sound representatives of the Chinese Communist Party (CCP) has led to problems in some cities with policies being applied perhaps too harshly. In the northern province of Hebei, a ban on coal heating led to demands for alternative fuels such as natural gas that were unmatched in supply, leaving thousands of residents shivering in the winter of 2017. In Henan province, local officials were originally tasked with reducing the number of “san luan wu” firms – “scattered, messy and dirty” businesses that posed prospective environmental threats. However, after being threatened with sanctions from federal inspectors, they initiated an unprecedented crackdown on small and likely harmless businesses such as steamed bun stalls. Indeed, small firms have largely faced the burden of China’s environmental push. Reductions in industrial production in manufacturing regions have led steel mills and aluminum factories to limit output, leading to closure of thousands of small companies unable to compete with higher prices. 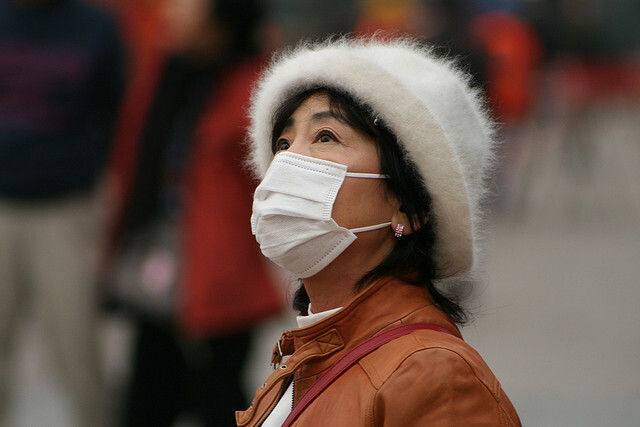 A common sight in China – citizens and residents wearing respiratory masks to battle air pollution. The trade-off between the environment and the economy has been a historically contentious debate – stemming from legacies of the Industrial Revolution. Certainly, China’s lack of environmental restrictions contributed to creating a space wherein the state could achieve its global economic powerhouse status by sacrificing ecological concern. However, it is unlikely that the state’s recent shift towards environmental policy will lead to the economic slowdown once feared by staunch supporters of rapid Chinese modernization. Firstly, the 2013 framework targeted specific industries – primarily steel, aluminum and coal. As such, any damages are relatively controlled and have proven to be minimal, with industrial production weaker than forecasted, but still up to 6% in 2017. Secondly, the chief concern of stagflation – caused by declining growth combined with higher prices – has yet to manifest. Although some commodity prices rose due to isolated supply shortages, general inflation has not been of extraordinary concern. Lastly, China’s environmental embrace underlines the economic opportunities that renewable energy sources and eco-friendly initiatives provide. The country has quickly become a leading producer of electric cars, and China’s solar power industry grew 38% in 2017. Indeed, even the morning routine of Beijing residents checking PM 2.5 levels has led to profitable innovation in the Chinese technological sector as various mobile phone applications have flooded the cybersphere. While the 2013 framework may have set limited goals, their realistic nature and measurable success are progressive indicators for the future of Chinese environmental policy. This positive new attitude has been consistently reaffirmed by Chinese President Xi Jinping, who spoke at length about the importance of China’s ecological future at the 19th Party Congress in October 2017. Newer policies have targeted continued reduction in air pollution within the Beijing-Hebei-Tianjin triangle and incorporated research to shift policies on soil-based pollutants. The policies have also restructured the legal system by allowing non-governmental organizations (NGOs) to bring forward citizen environmental lawsuits to the state. Thus, while this green beacon of hope may have arrived too gently, its permanence remains promising.